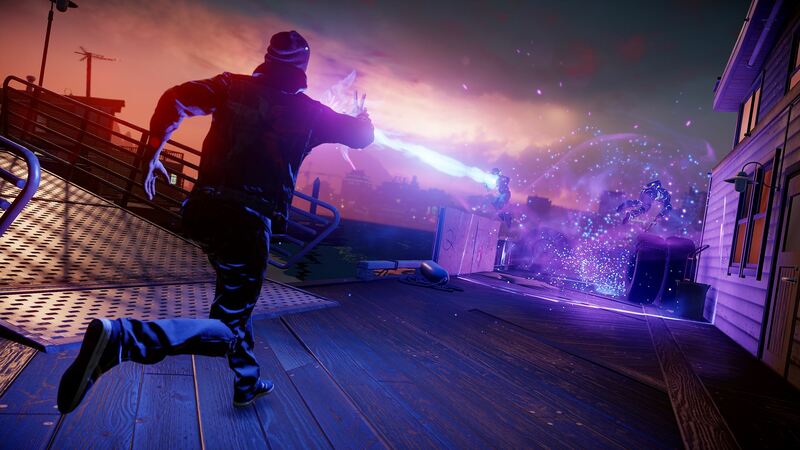 Delsin Rowe’s superhuman power is in your hands. 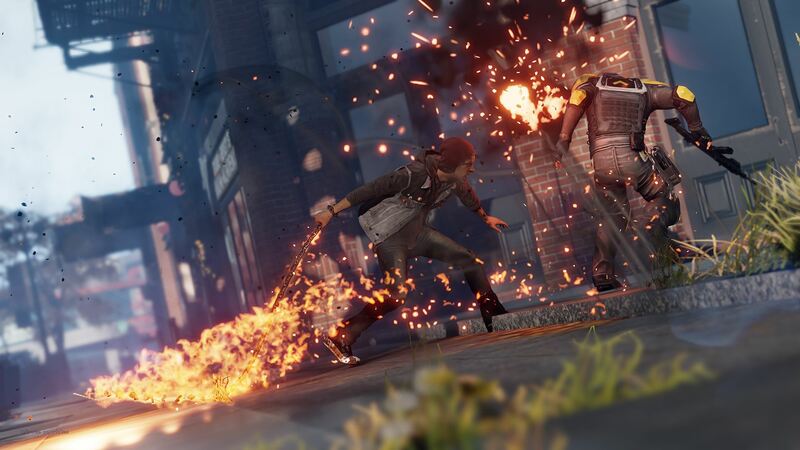 Push your awesome abilities to the limit and see how your choices affect the city and the people around you. • Hijack the powers of other superhumans. • Soar across the Seattle skyline. • Choose how your own story plays out. 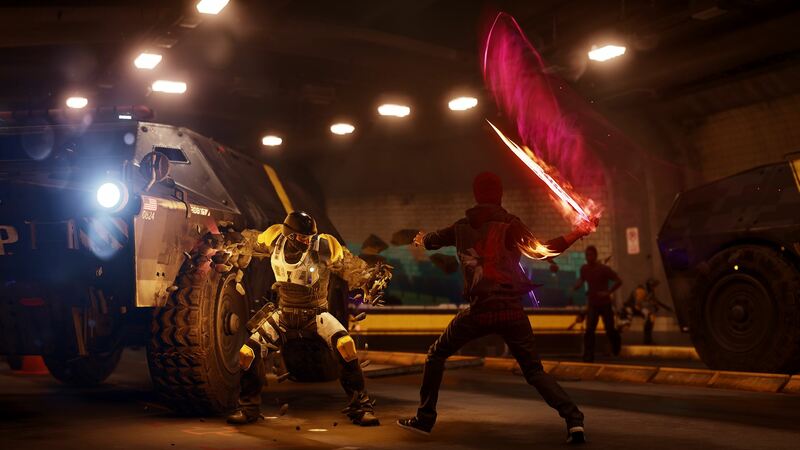 • Cole’s Legacy – Discover the link between the events of inFAMOUS™ 2 and inFAMOUS Second Son™. Complete the missions to unlock Cole’s Jacket. 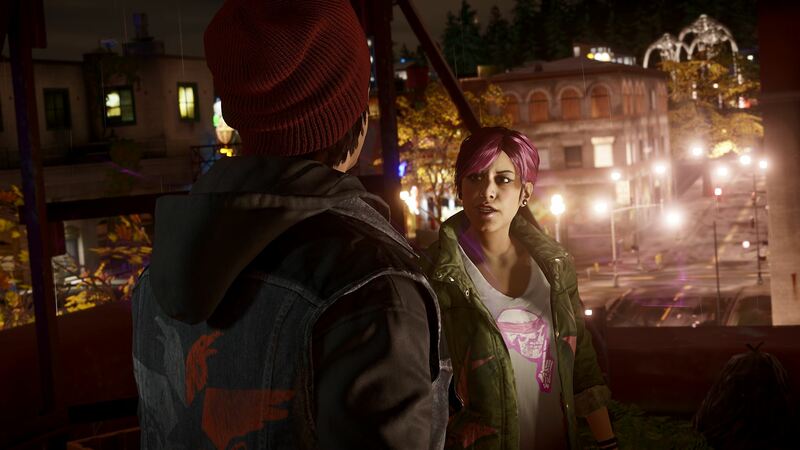 • Jackets Bundle – Get four exclusive jackets for Delsin Rowe, designed by Seattle locals Penny Arcade, the iam8bit team, San Diego street artist Exist 1981 and designer Jos Ramirez. 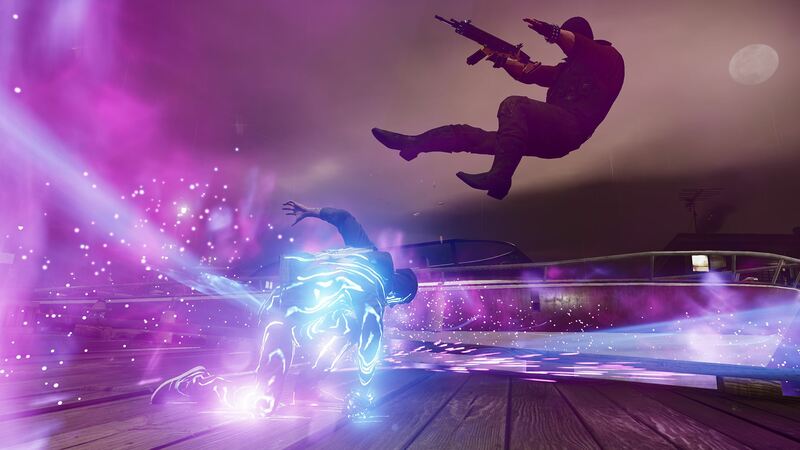 • Play as you download for this title requires an initial download of up to 5GB. • Voice-over support: English, French, Italian, German, Spanish, Dutch, Portuguese, Russian, Polish and Turkish. سيتم إيقاف أجزاء الألغاز التي تعمل على الويب من inFAMOUS Paper Trail بشكل دائم في 16 ديسمبر 2018 الساعة 00:01 بتوقيت السعودية. 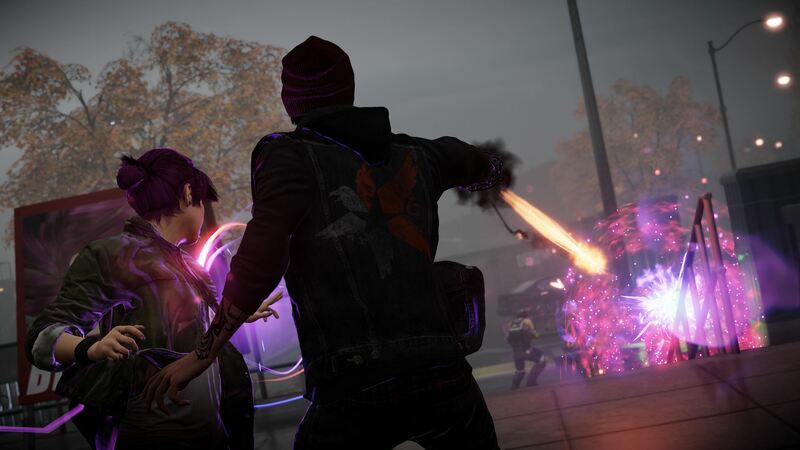 وستستمر مهام inFAMOUS Paper Trail PlayStation®4 في العمل من خلال inFAMOUS Second Son™، وبذلك ستتمكن من إكمال قصة Celia. 1 Player; DUALSHOCK®4 Vibration Function; HDTV screen resolution: 480p, 720p, 1080i, 1080p; Remote Play Supported.